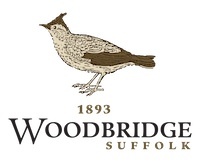 Woodbridge Golf Club, Suffolk, is located in an idyllic spot yet within easy access of the main A12 East Anglian artery route. Turn off the A12 onto the A1152 towards Melton. At the bottom of the hill go straight over the traffic lights and proceed for half a mile, crossing the railway line, to a small roundabout. Take the first exit to Orford/Snape and you will find Woodbridge Golf Club on the right hand side after about 250 yards.